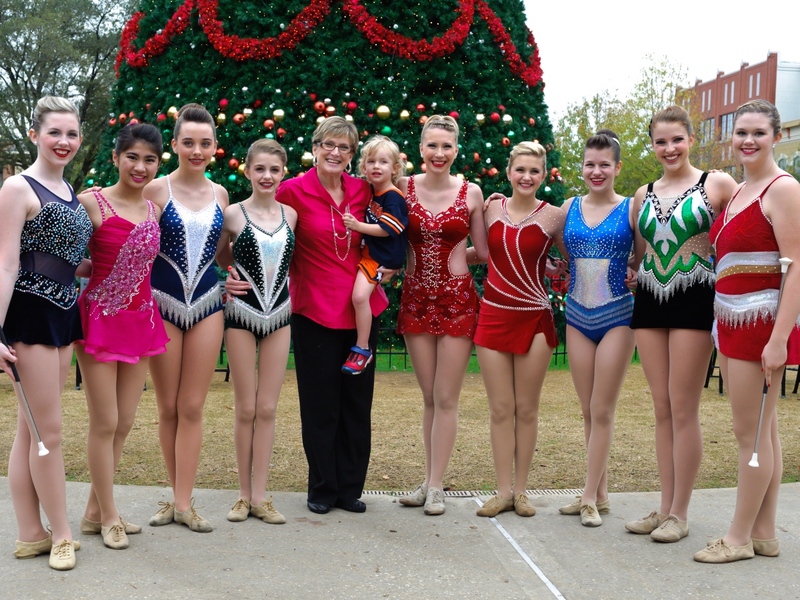 Patti Gausemeier grew up in west Texas and began her twirling career in Midland, Texas. 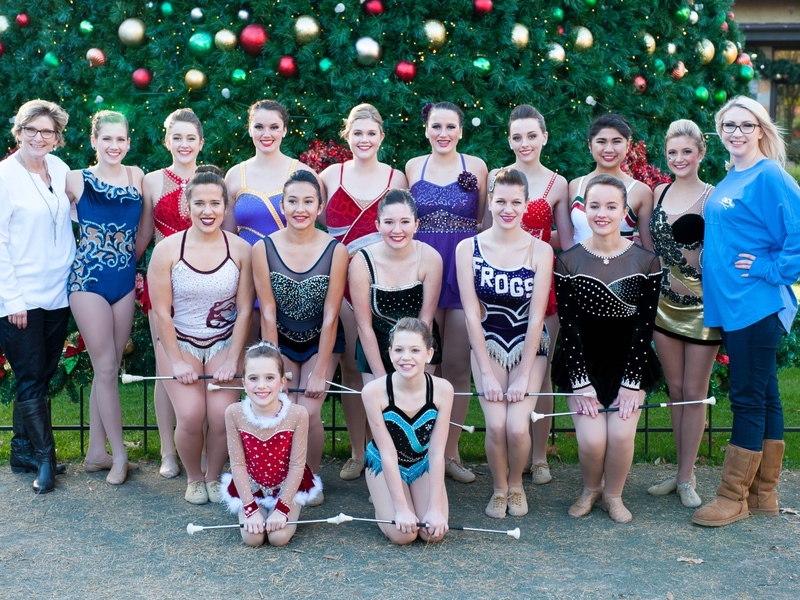 She and her older sister spent many hours in the hot sun falling in love with the sport of baton twirling. 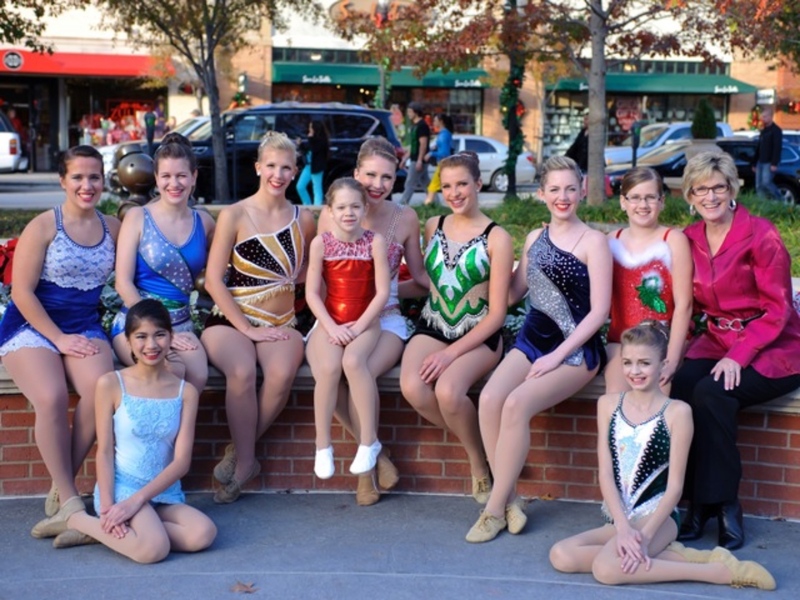 In Junior high Patti and her family moved to Denver, Colorado where she met and took lessons from twirling legend Judy Strecker. 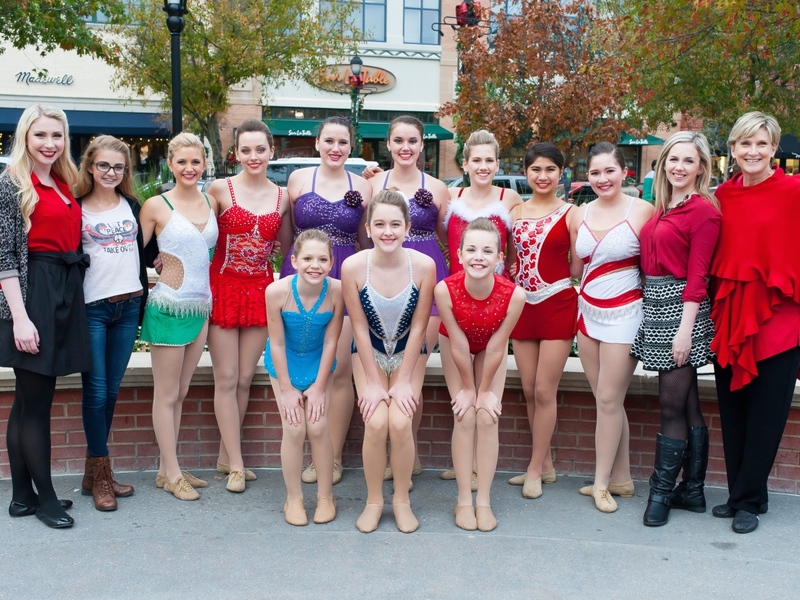 In High school Patti and her sister Terri were Feature twirlers for Arvada West High School in Arvada, CO.
After graduating High School, Patti was selected to be the Golden Girl, or feature twirler, for Colorado State University. 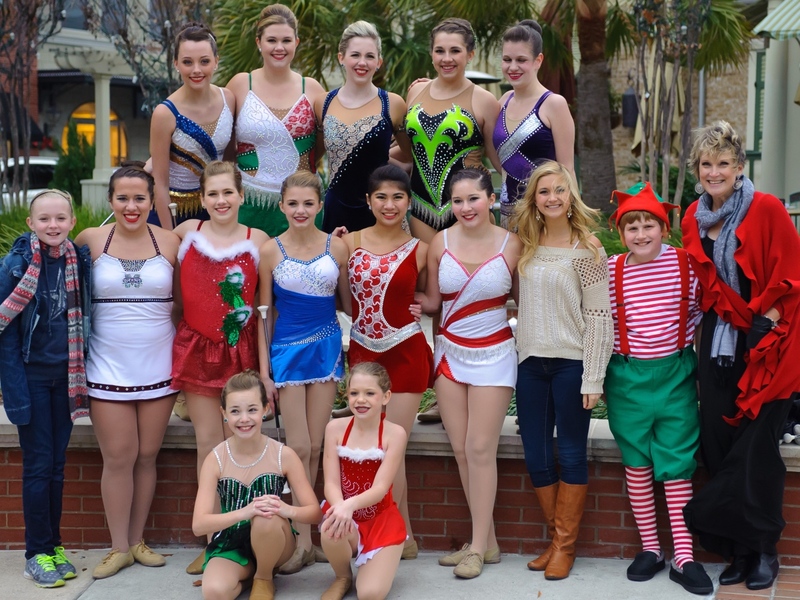 Where she twirled with the Fighting Ram Band during her college years. It was on the campus of CSU that Patti met Jon Mickey, her husband of 37 years. Patti and Jon are the proud parents of Chris, Justin and Kayli, and the doting grandparents of Jayce, Jude, Laney and Lundyn. 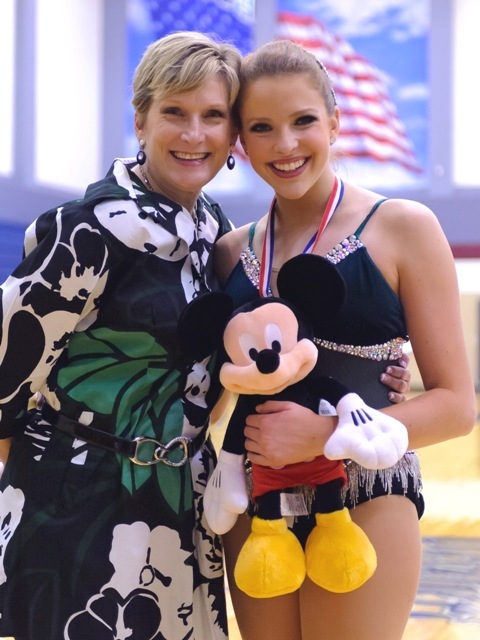 Elite Twirler Caroline Carothers, a student at Ronald Reagan High School in San Antonio, Texas, stops to take a picture with her coach Patti Mickey at the 2013 Twirl In The Woods contest. 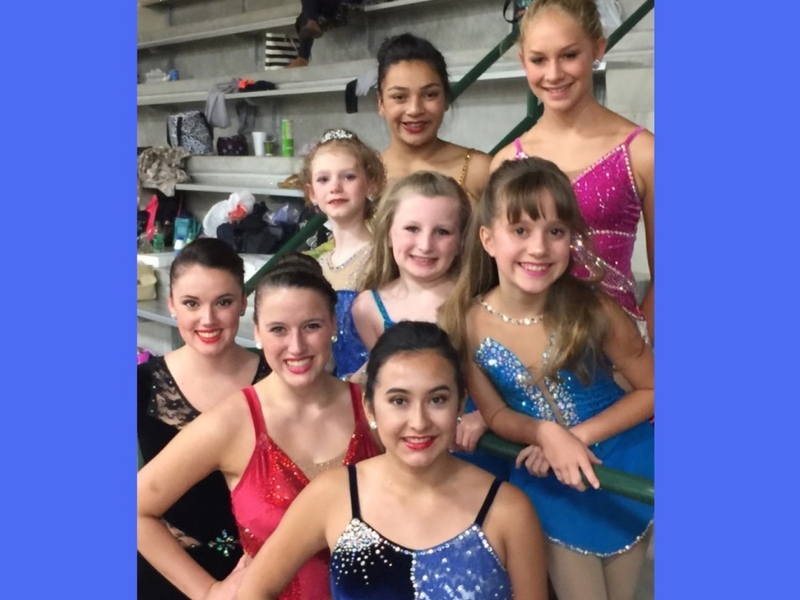 Private Lessons are scheduled at various times throughout the week, usually after school hours Monday-Friday. 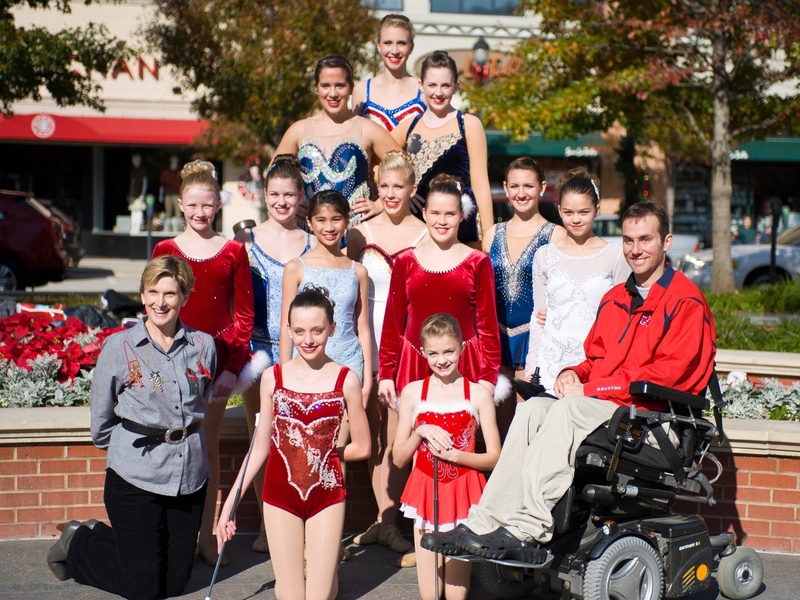 Patti Mickey is also available throughout the year for on-site training/lessons for individuals, groups along with Junior and Senior high school twirling teams and twirling lines. 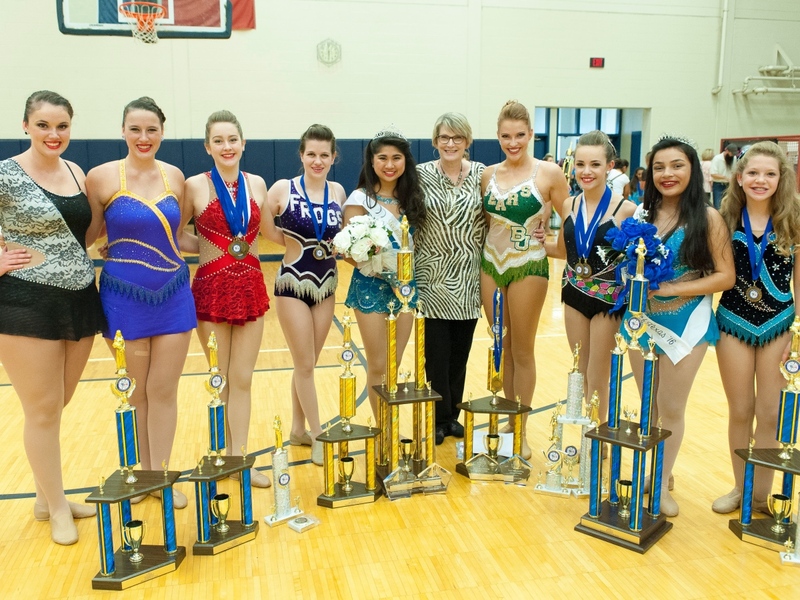 Twirling Camp activities are arranged throughout the year by contacting Patti Mickey. 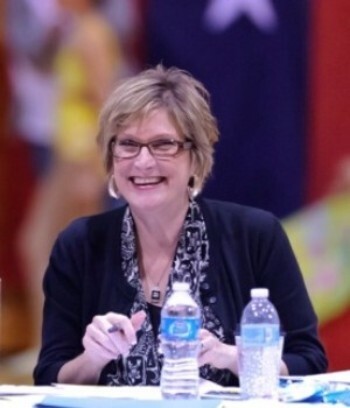 Patti Mickey is an active NBTA Adjudicator and has been judging nationally since 1978.